WordPress plugins are a great resource as they provide high functionality. Plugins allow you to control how your WordPress website is accessed by users. There are many WordPress attachment plugins today that are offered to website owners. These plugins are very useful to them because they can actually make a website eye catchy and manageable. There are many free WordPress attachment plugins today that you can use. So, here in our today’s post we have listed some of the fantastic free attachment plugins for WordPress that are useful for your WordPress blogs. Be sure that you have an internet connection that can work fast so that you can install it with ease. The best free WordPress attachment plugins are listed below. You are most welcome to suggest any additions to this list. You can use the comments box below to make any suggestions. 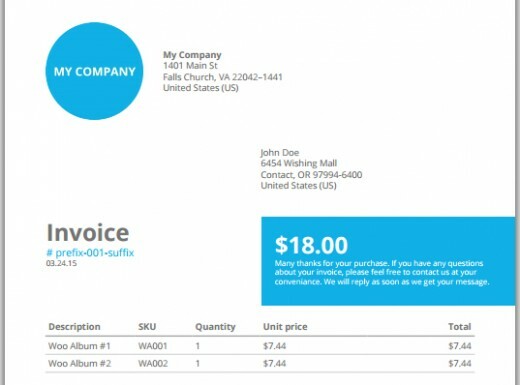 This WooCommerce plugin creates customizable PDF invoices for WooCommerce orders with the ability to setup an invoice number with a specific format. Attach the PDF invoice to the WooCommerce email type of your choice and try out sending invoices automatically to Dropbox, Google Drive, OneDrive or Egnyte. It’s simply awesome! This plugin creates the image files required by the Retina (High DPI) devices and displays them to your visitors accordingly. Your website will look beautiful and crisp on every device! The retina images will be generated for you automatically – though you can also do it manually – and served to the retina devices. GSpeech uses Google power and allows to listen any selected text on your site. It is the best text to speech solution for WordPress. It uses Google power to provide you the best quality of automatic text to speech service. Listen to selected text. Speaker will appear, when You select a part of the text. Ability to set custom style and language for each TTS block! Contact Form Generator is a powerful contact form builder for WordPress! It is structured for creating Contact Forms, Application Forms, Reservation Forms, Survey Forms, Contact Data Pages and much more. You will get ready-to-use forms just after installation. Contact Form Generator is packed with a Template Creator Wizard to create fantastic forms in a matter of seconds without coding. You can use one of existong templates, or create your own! MOM features an assortment of functions designed to add (or extend) functionality within WordPress. Clean up unapproved comments, spam comments, and comments belonging to trashed posts. Clean up tags and categories with no posts associated with them. Remove the currently viewed post from the default ‘Recent Posts’ widget. EWWW Image Optimizer Cloud is a WordPress plugin that will automatically optimize your images as you upload them to your blog. It can optimize the images that you have already uploaded, convert your images automatically to the file format that will produce the smallest image size (make sure you read the WARNINGS), and optionally apply lossy reductions for PNG and JPG images. This WordPress plugin will ease the management of media categories, including bulk actions. It supports categories for media using either the existing post categories or a dedicated media_category custom taxonomy. The plugin supports easy category toggling on the media list page view and also bulk toggling for multiple media at once. It now also supports media taxonomies defined by other plugins. By uploading a PDF attachment, this plugin convert the cover page to jpeg and attach it as a post thumbnail file. It also allows displaying a thumbnail icon and inserting PDF link with a cover image into the editor. This plugin hooks to the media editor and generates the first page image of PDF by using ImageMagick with GhostScript. It requires no setup, just activate the plugin via the admin install page. Contact Form to DB plugin is an exclusive add-on for the Contact Form plugin by BestWebSoft. The plugin provides a unique opportunity to manage messages sent from your site via the contact form. The list of its features is really impressive: messages can be saved, browsed, deleted or downloaded from the Dashboard. Contact Bank is an ultimate WordPress Plugin loaded with 200+ Features and designed to create simple but powerful contact forms easily and hassle free within few seconds. Contact Bank provides you with powerful Control Panel and Shortcode Manager make getting started super easy. Contact Bank has become the Best Plugin in the world for WordPress sites to display forms. It has been designed to provide easiness and simplicity to the end user.